While the Playstation Vita hasn’t even been around for two years, it has seen its fair share of disappointments for the shooter genre. Established series like Call of Duty and Resistance have tried their hand at delivering a quality Vita experience, but have ultimately failed. Killzone: Mercenary’s attempt at greatness doesn’t bring forth any groundbreaking features, it instead brings a console quality experience to the Playstation Vita. In Killzone: Mercenary, you assume the role of former soldier turned mercenary Arran Danner. You fight solely for the purpose of getting paid handsomely, and the characters you meet throughout the game will often remind you with rather cheesy dialogue. Though the game’s campaign does feature cliche moments and twists, it’s the gameplay & graphics that truly stand out. For anyone who has played a shooter on a console, the controls in Killzone Mercenary feel instantly familiar. You will find touch controls are mostly optional, and sprint can be activated either by double-tapping the back panel or hitting the circle button while moving forward. The responsiveness of the Vita’s analog sticks feels near perfect, and the gameplay mechanics feel just as smooth as they do on a console version of Killzone. Various objects in the environments can be interacted with by either using a touchscreen prompt or by simply hitting the triangle button. However, certain assassinations that you’ll perform in the game or explosives that you’ll set in place will only use the touchscreen. The moments that require the screen to be utilized don’t feel overly forced, but you may grow tired of assassinating enemies and opt for a more “loud” approach. At first glance, Killzone: Mercenary could be mistaken for a console quality game. While certain textures aren’t of the highest quality, it’s often a bit perplexing to try and fathom just how Guerrilla Cambridge pulled off such high quality visuals. Great lighting and animations go a long way to put the game into the upper echelon for handheld titles. While the game does offer a campaign, it’ll only take most gamers a little over three hours or so to complete it. Levels are able to be replayed for higher scores or to earn more cash. To help add to the replay value, there are multiple paths to approach each level. Being able to attack enemies with a stealth approach is a great alternative, and helps users mix up their options. To reward players that choose to go stealth, certain pieces of intel can only be retrieved by going this route. Each level contains six pieces of intel total, three of which must be gathered by doing a stealth assassination on certain character models. While this information may not be vital to completing the campaign, it’s great for trophy-hungry users or players who want more of a backstory. If at any point you feel overwhelmed in the game’s campaign, you’ll notice numerous Blackjack stations. Each one of these stations, which resembles a large futuristic crate, allows you to swap out any of your arsenal.Finding that the sniper rifle you brought into this level isn’t really working out? No worries, as you can swap it over for a shotgun and a better armored vest if you have the cash. With these stations being very strategically placed in each level, it’s a great way to keep people playing the game and not turning it off out of frustration. Enemy A.I. can be a little frustrating at times, but it’s not enough to take away from the experience too much. We did encounter a glitch or two where enemies didn’t seem to spawn which lead us to not being able to complete a level. You’ll need to restart the level in scenarios such as that one, but it typically seemed to fix itself after restarting once. With the campaign only taking a little over three hours to complete, you shouldn’t run into many issues. The multiplayer portion of the game is where you’ll spend the majority of your time, however. A total of three modes are offered, and there’s a handful of maps that you’ll be able to play on. While they do offer a bit of enjoyment, the game will only continue to thrive if downloadable maps are provided over the life of the game. As you begin to play multiplayer matches, your character will be assigned a valor card. The card that you receive is a direct reflection of how well you’ve played from the previous day. After you kill an enemy in a match, their valor card is dropped in the spot that they died. Collecting their cards will go towards your overall collection which will earn you more XP or in-game unlocks. It’s a clever feature to easily let players know just how good their competition is. To keep things interesting, not signing in for a period of time will also drop the value of your valor card. This gives you a reason to come back and play often, and doesn’t reward players who just want to get the highest card and rarely ever come back. With a short campaign and a solid multiplayer, Killzone: Mercenary is one of the first shooters on the Playstation Vita that you must own. It has its faults and may not offer anything groundbreaking, but it may just be that “familiar” feel that makes Killzone: Mercenary a success. 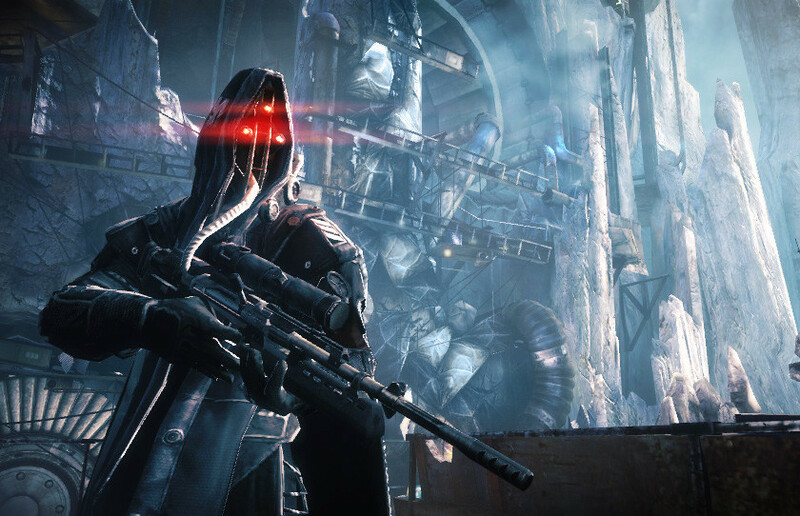 Killzone: Mercenary was developed by Guerrilla Cambridge and published by Sony Computer Entertainment. A code was provided for the Playstation Vita for the purposes of review.